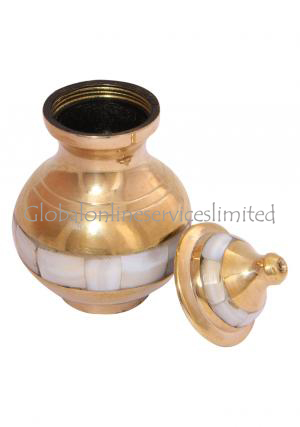 The mini keepsake urn is decorated in terms of classic vase with superior quality of brass metal to present the urn and well polished in antique mother of pearl circled. 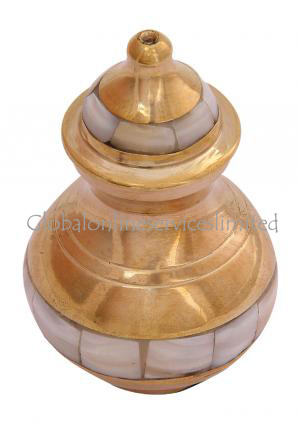 The artwork is been finished from the finest art crafts to represent the mother of pearl. 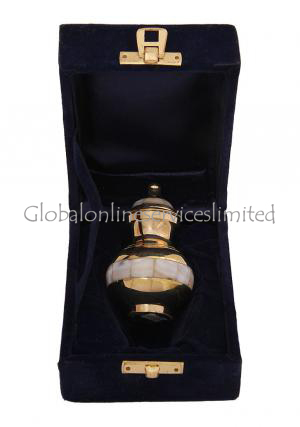 The mini funeral keepsake urn has a great simple structure with decorated pearl on the lid of the urn which secures the ashes while in a move. 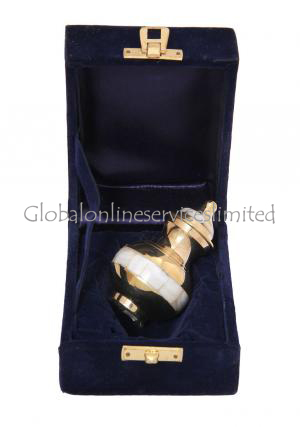 The small pearl cremation urn has the capacity visually to store small token amount of ashes which measure 3 cubic inches and considered 3 tablespoons of ashes. 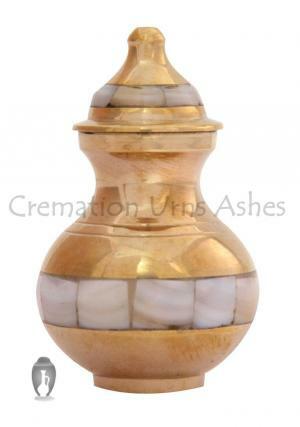 Mini memorial urn would be the perfect desire to preserve ashes of the demised loved one. 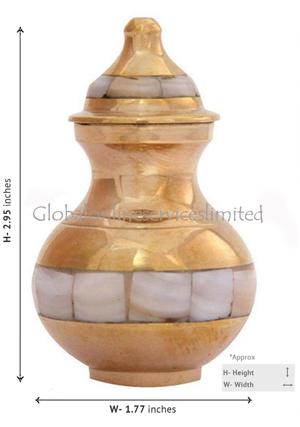 Small keepsake urn stands 2.95” inches tall with a 1.77” inches width that weighs 0.18 Kg to an approximation.